A sharply redesigned sports sedan with a low $24,000 price tag. “It doesn’t matter if you win by an inch or a mile; winning’s winning.” Those are the words Vin Diesel etched into my childhood psyche. He had one hand on the wheel of his stunning red Mazda RX-7, and the other hand on my memories. This is when I first fell in love with Mazda. That was, of course, their golden era. Since then, their appeal has seen its share of ups and downs. Recent body styles have waned in a similar level of sexiness, but when the new Mazda6 came out, it captured some of that early ‘90s luster. It used to be called the 626, but in 2003 Mazda dropped the 2 and the last 6, thus birthing the Mazda6. More than a simple rename, the company finally started earning back its long-forgotten sporty reputation. 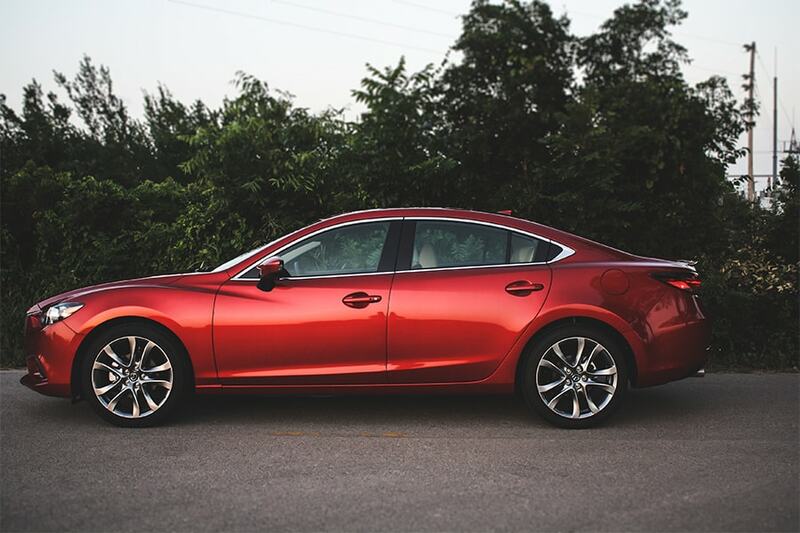 They continued to push the design envelope in 2009 when they redesigned the Mazda6 after it had become stale, and buyers started looking elsewhere for their sporty sedans. Fast-forward to 2014 and you find Mazda’s all-new Kodo design language turning heads on every corner. 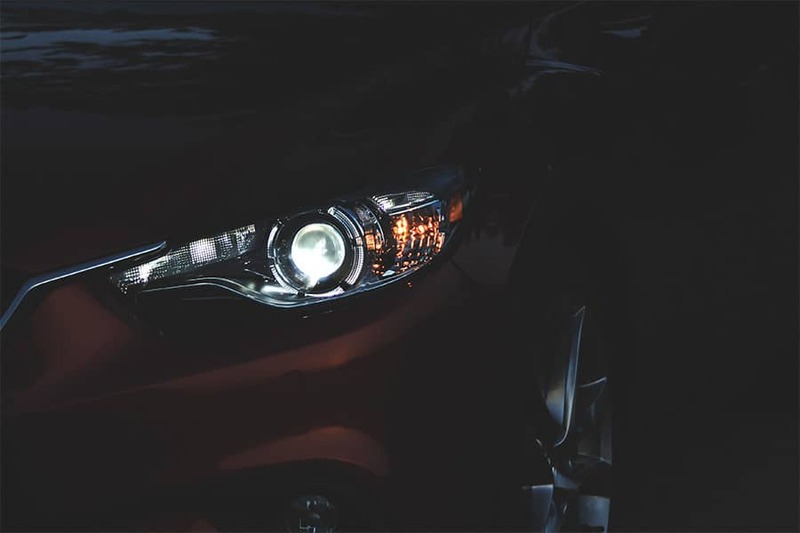 Kodo, roughly translates to “soul of motion” and, as Mazda puts it, captures “the power and elegance of a wild animal in the instant when it pounces on its prey”. We're not sure if they're talking about a lion/gazelle situation, or a Jonathan/bacon-cheeseburger situation. Perhaps both…but I digress. 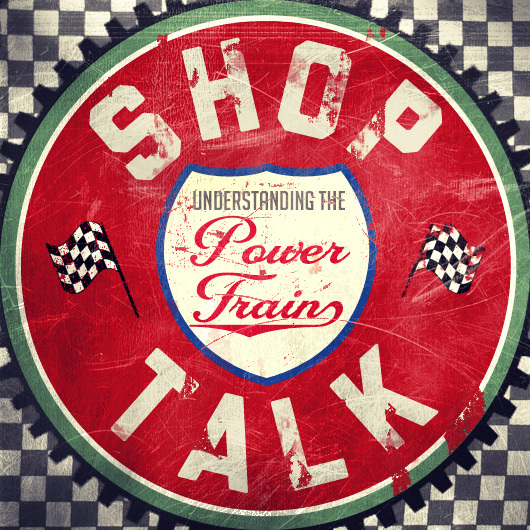 To design something that looks as if it were in motion, while standing still, is nothing new. Mazda's level of execution, however, is groundbreaking. Dramatic front fender swoops, high and bulging rear fenders, and cat-like headlights are all par for the Kodo course. 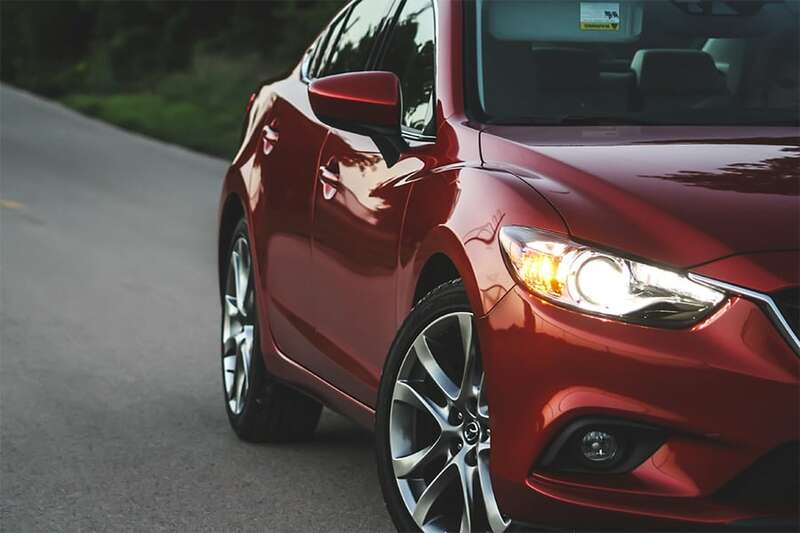 The first of its models to get the Kodo treatment is the base 2014 Mazda6 i Touring–completely changing the look of Mazda’s flagship sedan. 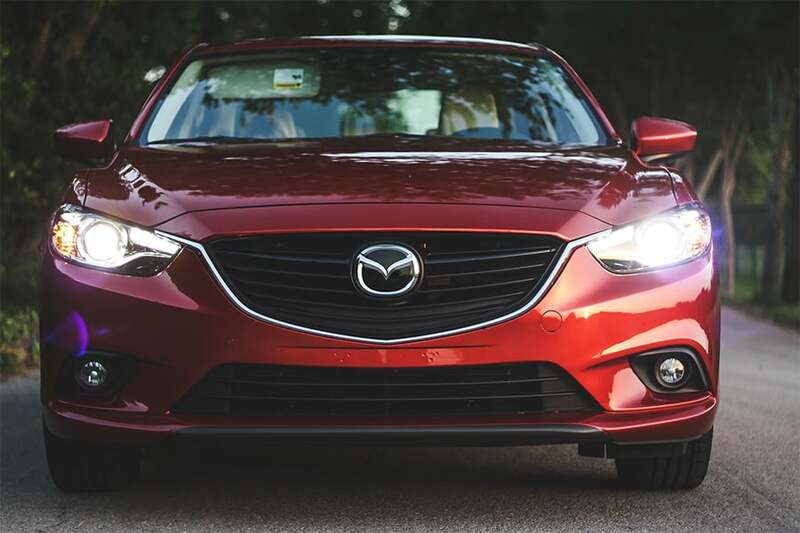 On the outside, no one word can describe the Mazda6. 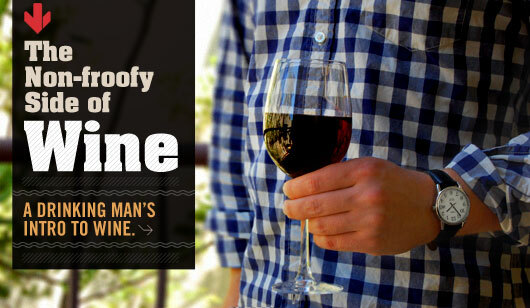 Grunts of approval, however, do the trick nicely. 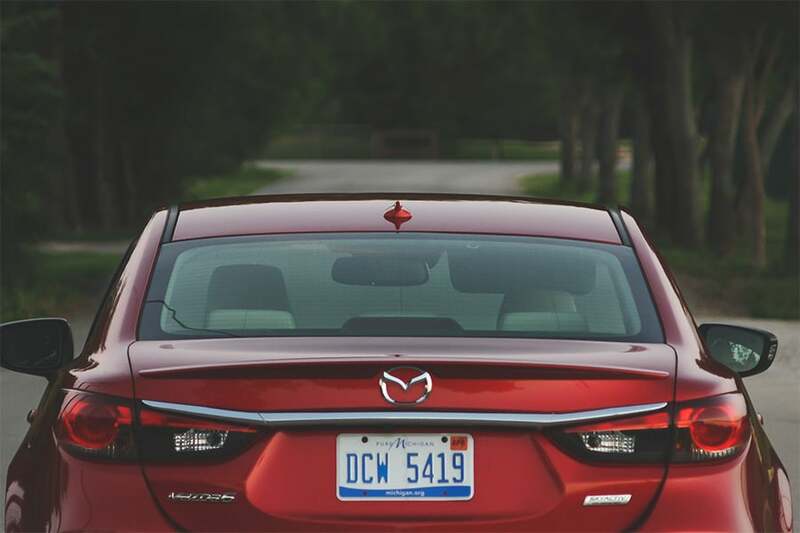 In profile the Mazda6 shows a front valance that resembles a NASCAR air splitter, which gives this sleek midsize sedan a recognizably “performance” look. Couple that with the sloped roofline and the coupe-like rake of the rear window and you have a model that really out-looks its price point. The engine confidently motivates this midsize sedan around town, but pushing it hard on the highway leaves much to be desired. It will pull off an 8.2-second run to 60 mph with ease, but, in our humble opinion, Mazda should offer a V6. In back, the dual exhaust is a nice touch, as is the trunk’s slight arch, the taillights' angular appearance and the well-proportioned chrome appliqué–all adding to the car's sporty shtick. 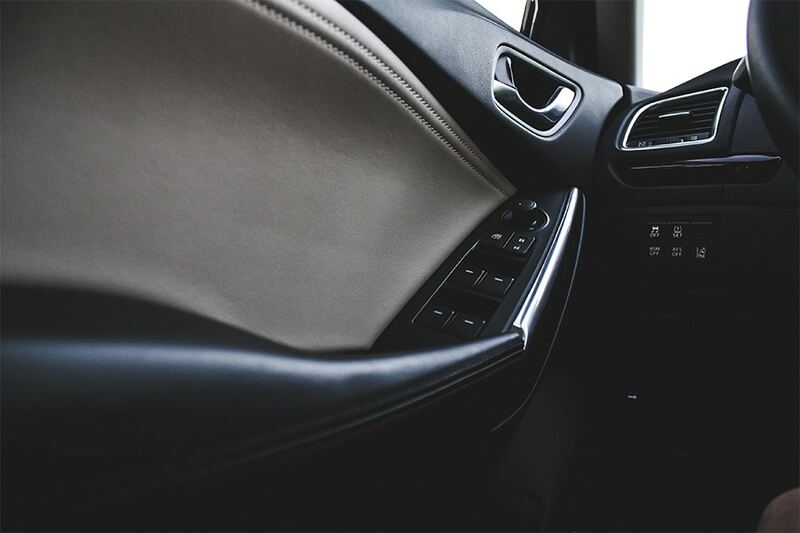 The Mazda6’s interior feels classier than its $24,000 price tag may suggest. Soft-touch materials abound, and the steering wheel and gear shift are both accented nicely with contrast stitching all over the leather. The trunk of the Mazda6 is simply cavernous. There's plenty of room for groceries, golf clubs and even more stuff without folding down the rear seats. You can fit a couple bodies in there easily, for whatever reason. When it comes to technology, Mazda delivers. 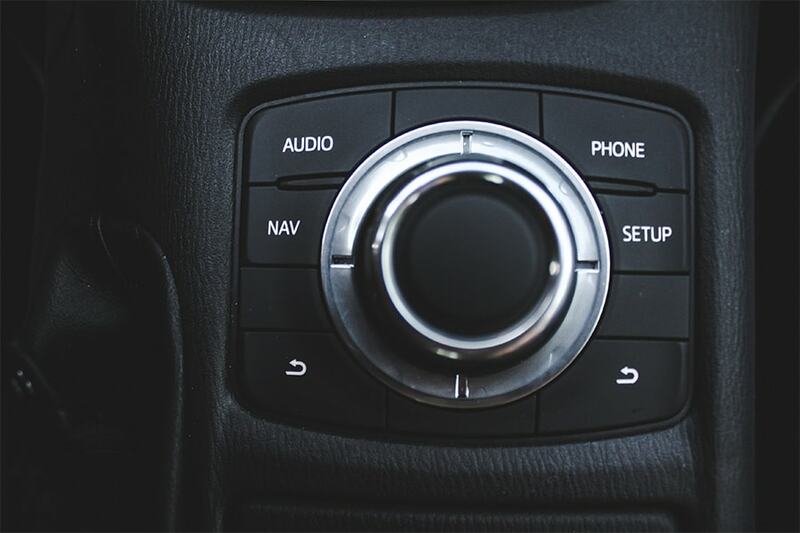 Featured is a 6-inch touchscreen audio system with six speakers, a CD player, Bluetooth, Pandora, and HD radio–the sound quality is superb. The rear view camera is a plus, as I'm sure the thankful children on bicycles in my neighborhood can attest. 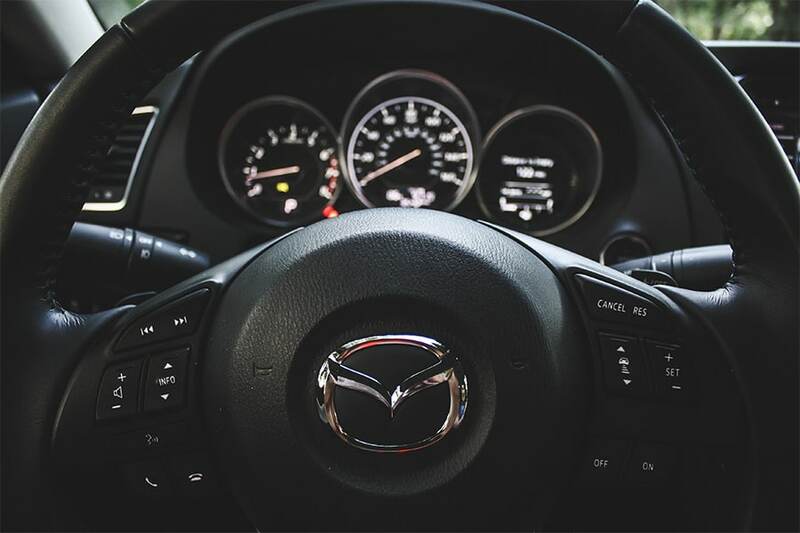 The Skyactiv-MT (six-speed manual) and Skyactiv-Drive (automatic) transmissions have been reworked in a way that gives meaning to the term “driver's car”. Mazda has created a more “short-throw” shifting experience, especially with the manual. 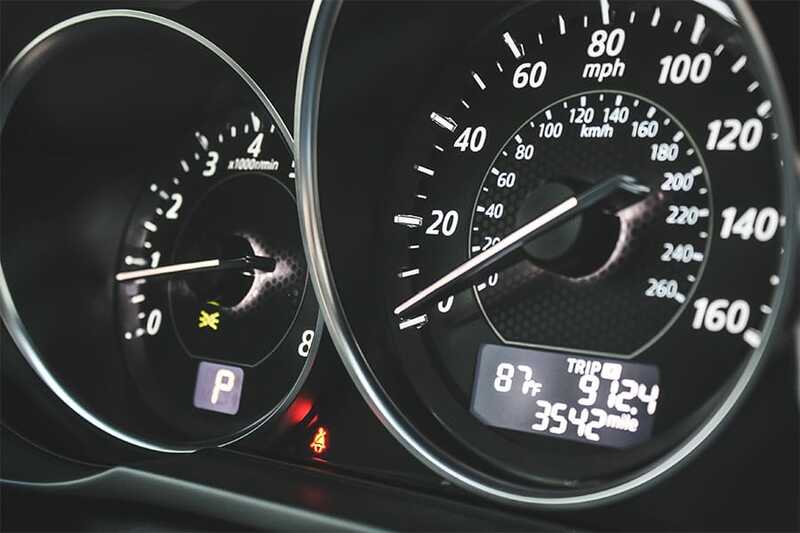 On the performance side, the Skyactiv-MT transmission is comfortable and smooth when cruising along and slowly going through the gears; but when shifting becomes more aggressive, it tends to get a little spongy. The brakes feel firm and responsive, but they can be a little grab-happy on cooler mornings. Not a big deal, unless you’re sipping Starbucks…then it’s a big, moist deal. The 2014 Mazda6 is nicely designed and well insulated from road noise. The suspension is firm enough to handle twisting S-curves with ease, but is also soft enough to take on most city street obstacles, including gnarly potholes. The W-rated Dunlops wrapped around its 19-inch alloys give the car confident poise at any speed. 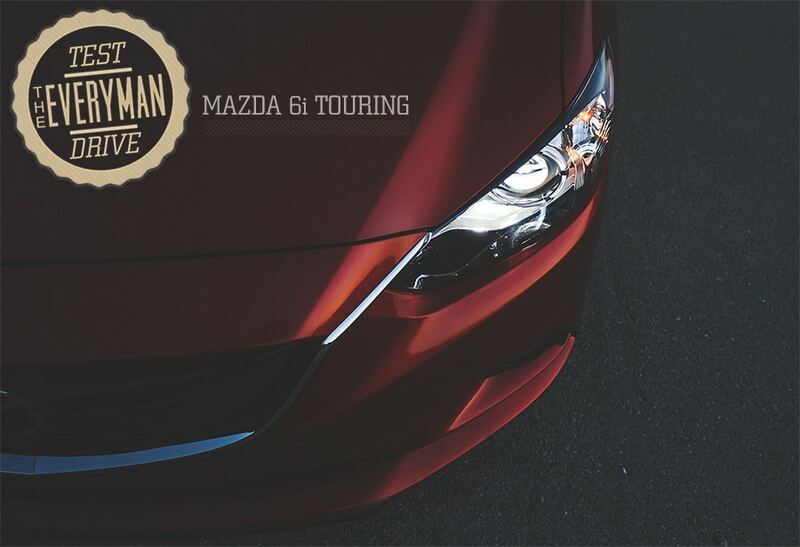 The looks alone of the Mazda6 i Touring are enough to impress; a worthy competitor in its class. There's hope for Mazda’s future. This mixture of sport and comfort is the perfect fit for them. We just wish it had the speed to match the looks. Nope, not at all. All of the Everyman Test Drives are straight reviews. All sponsored posts on Primer are always clearly marked, that’s always been very important to me. Looks nice, except for the grille. If I were going Japanese midsize I’d look at Honda and Nissan first. No pics of the inside, or the seats? Odd question: what camera are you using to take photos for the review? As a photographer myself, it’s bugged me forever since I started reading the car reviews. BTW, nice review. Nice review. It’s really interesting to see how some of the more affordable cars, particularly Japanese imports, look more expensive than they are. This is definitely one of those. I’ve only had Japanese cars, first a Honda, then a Toyota. A Mazda may have to be next. Of course that is assuming I don’t win the lottery and buy a Tesla. This is the only sedan in my price range I would ever consider driving. If only they brought the Mazda6 wagon to the States, it’d be a done deal for me.